On December 10, 2015, my friend Jaimee called me and suggested we go for a run. She had bought entries for a virtual 5K that came with medals. 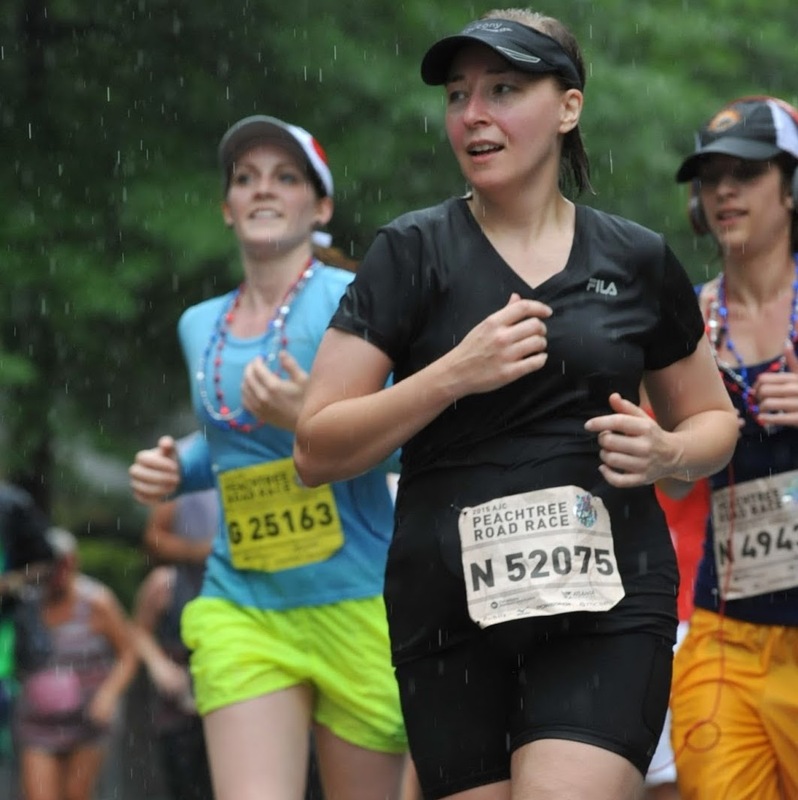 For those of you not familiar with virtual races, you buy the bib (and other swag that may come with it) and run the race whenever and wherever you want to run it. It was the perfect gesture of friendship from my best girl who knows I love running. And for some reason, I never wrote a post about that run. How could I have neglected to do that?! It was a good run. We both needed each other's company that afternoon for various reasons. We had a lot weighing on us both. Jaimee had a lot more on her mind than me given her mom had gone on to glory only two months ago. So we ran. And we walked. We paced ourselves. And we talked. It felt good. Afterwards, we hung those virtual race medals from our necks, enjoying their awesomeness, and took the above selfie. It was a great run. Our friendship is a great run! 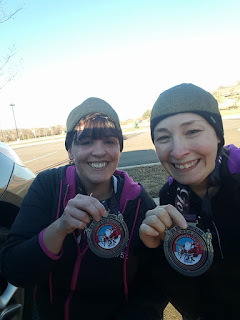 And in honor of all our runs and, more importantly, in honor of my Jaimee, please enjoy this video: Jaimee and Jamie - Running Buddies. Today's forget-me-not: My best buddy (running and otherwise) Jaimee.